WASHINGTON – Increasing college enrollment rates among American-born Hispanics and a surge in Latina entrepreneurship aren’t enough to eliminate wage disparities that prevent Latino families from improving their economic well-being, a new report said. “Latinos are better educated than ever before. 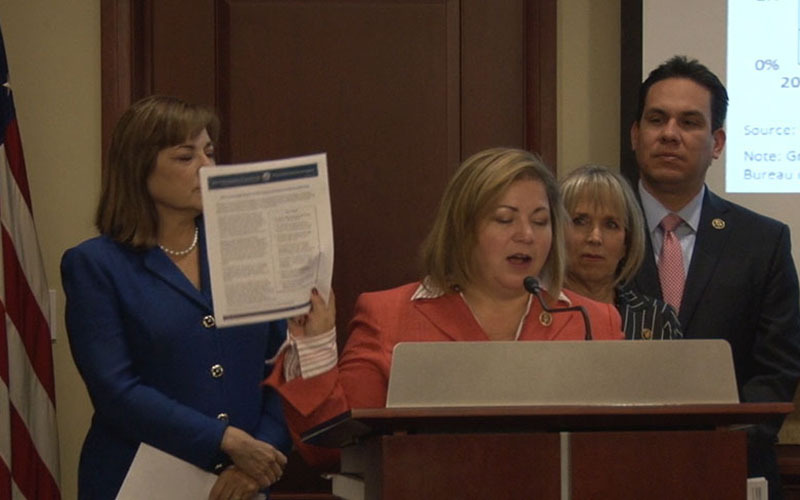 In many ways, we are moving forward,” said Rep. Loretta Sanchez, D-Calif., at the Congressional Hispanic Caucus’ release of “The Economic State of the Latino Community in America” report. 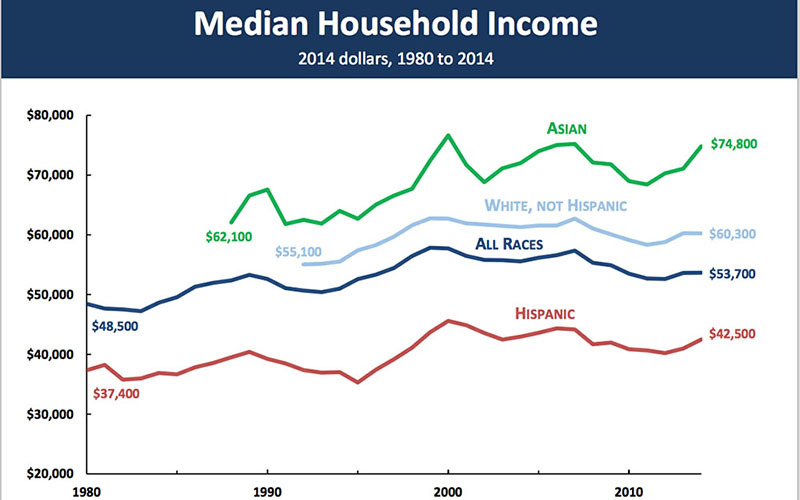 “But this last recession has really hurt the Latino-Hispanic community,” Sanchez said. It certainly hurt Arizona’s Hispanics, who make up nearly one-third of the state’s population, said James Garcia, a spokesman for the Arizona Hispanic Chamber of Commerce. The report said the country’s Hispanics experienced less-severe losses than other groups during the recession, but that their job losses were significant nonetheless. Garcia said rapid job growth over the past few years has led to a decline in unemployment among Hispanics, though the workforce isn’t necessarily the same as it was before the recession. Garcia said Latinas own a majority of the 123,000 Hispanic-owned businesses his chamber estimates are operating in Arizona. But Latinas’ efforts have been “constrained by lower wages and fewer hours worked compared to white women,” according to the report. Rep. Raul Grijalva, D-Tucson, said that is why Latino families continue to struggle to improve their economic well-being. “The wage disparity – and wealth disparity – between Latino workers and their families compared to their white counterparts is staggering,” Grijalva said in a statement released by his office Wednesday. The congressional report said the median household income for Arizona’s white population, at $55,300, was more than $16,000 higher than the median income of $39,200 for the state’s Hispanic households in 2014. As a result, nearly 30 percent of Arizona’s Hispanic population lived in poverty last year, compared to roughly 11 percent of the state’s white population, the report said. 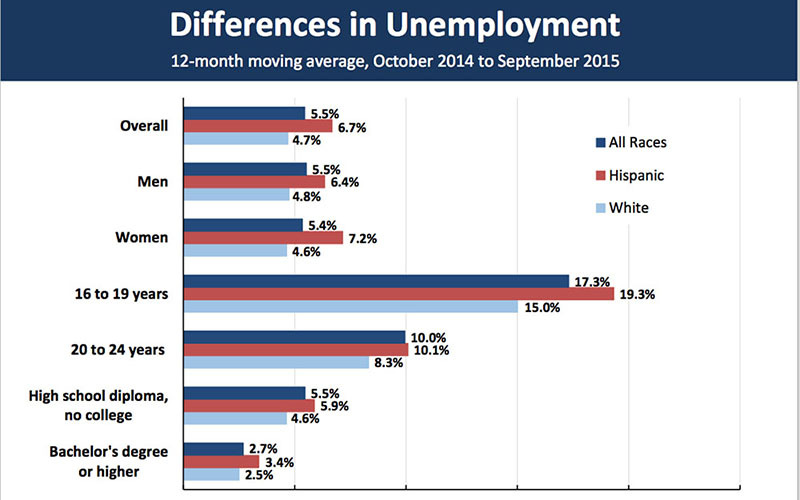 But Garcia said there are still “gains being made” by Hispanics in Arizona, despite the disparities. The college enrollment rate among Latinos nationally more than doubled over the past 25 years, and three in four U.S.-born Latinos now have a high school diploma, the report said.